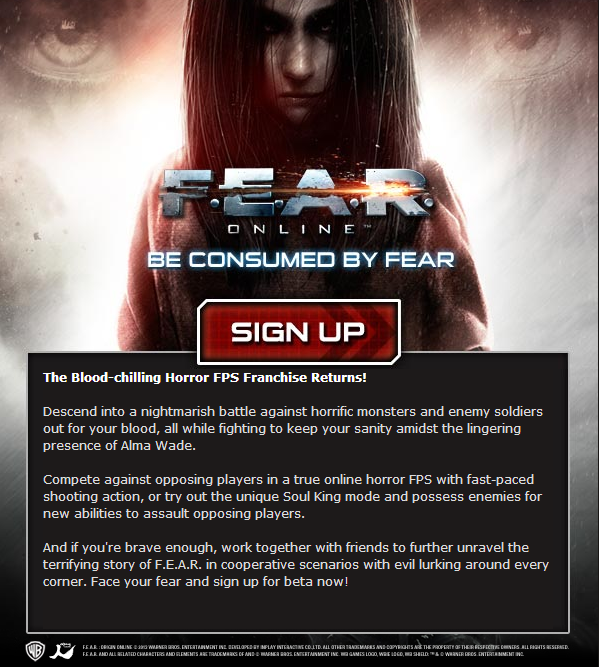 Discussion in 'Free Shooter (FPS or TPS) Talk' started by fromhelll, Jul 27, 2013. The tag line was clearly written by a non-english native. Funny I got a nearly identical thing in my email a few days ago.....that wasn't the tag line I saw.&nbsp; This is mine. That was actually my doing. The original read "Be consumed by fear".&nbsp; Since English isn't my first language technically You are correct, but I phrased it that way by choice not by lack of familiarity with your language, it just sounded funnier to me that way.